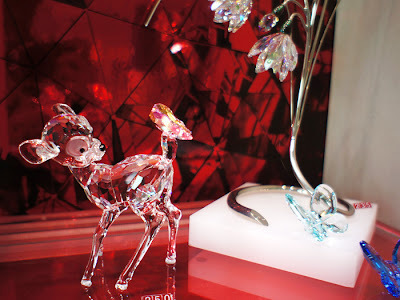 I went to the mall today and outside the Swarovski shop there was this super adorable crystal figurine that caught my eye - Bambi! It costs S$250. What do you think? 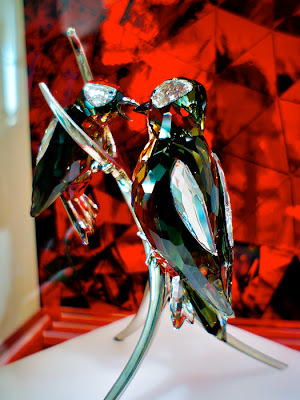 And then there was this large crystal sculpture of two birds on a silver branch. The black facets were dazzling! The price is a pretty penny too. About $2K ++ if I remembered right.